Well this is a very bit awesome. We got delivery of this fantastic book from Penwizard for review. Their website has a some lovely books that can be personalised for your child. Makes a great unique gift and adds that special touch to the child your giving the gift too. This book and concept is beautiful. The artwork is swoonworthy. The story is unique to your child. 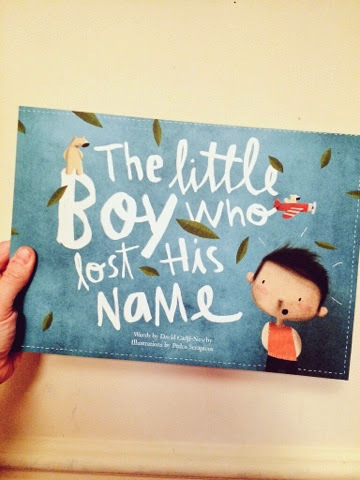 This is so very clever and my lucky big boy is now a proud owner of his own book. He was so excited to sit down and read it. We snuggled right down and began to read. As each page passed and the next letter was found M was getting more and more excited. And at the reveal His smile was priceless!! 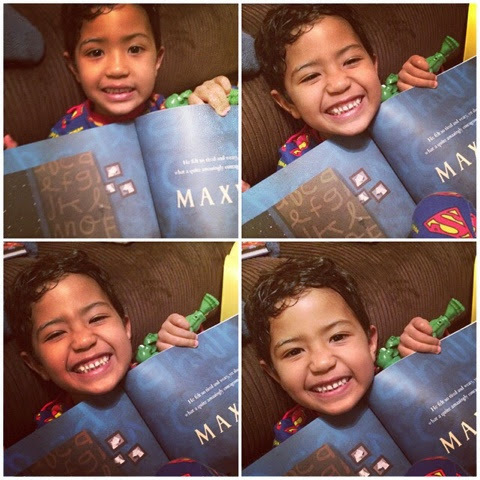 When his dad got home from work he was so excited to tell him that the book had his name in it. So special. I would very much recommend this book to others (the quality is outstanding, for something which is personalised) that I am already planning this book as birthday/Christmas gifts during the year. **please note I was give a voucher to pick a book via Penwizard website. I picked this book off my own accord.